And yes, they had a pig! I was disappointed that they didn't play more of Animals. I wanted to hear Dogs and Pigs! The sax player was awesome! I didn't get any good pics of him because I was so taken with watching him that I forgot until he was done with each solo. The keyboard player was excellent, too. He played a Korg workstation synth, Hammond SK1 organ, and I think a Nord 88 key piano. He was very animated and looked like he was having fun. Dan, look up Australian Pink Floyd and if you are ever in a town they are playing I recommend it. I have seen them a couple of times and the first time I saw them I was more impressed then the first time I saw Pink Floyd as a whole. I've read a few people say the same thing, that the Australian PF is better. I was unfamiliar with either one until recently. 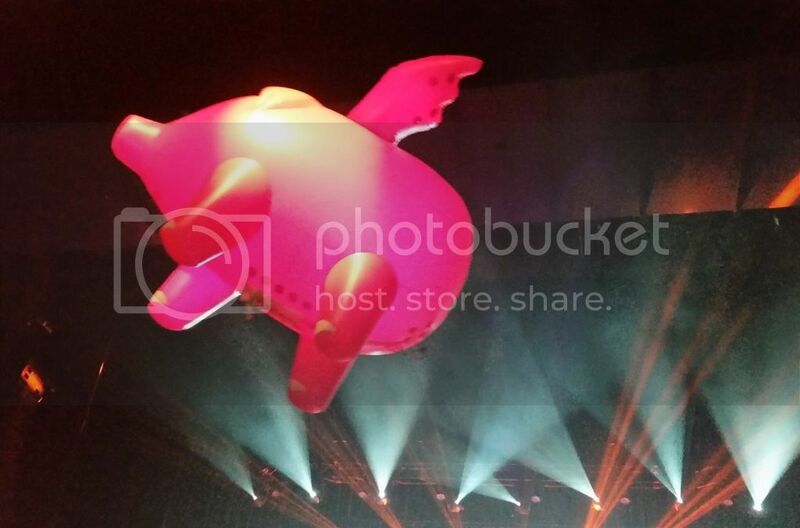 I've only seen Pink Floyd once, during their Animals tour, June 1977. Good show. They played all of Wish You Were Here and all of Animals. Then for their encore they played half of Dark Side of the Moon.